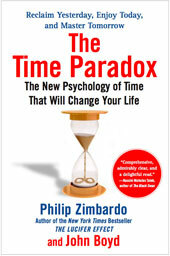 Take the Zimbardo Time Perspective Inventory (ZTPI) to get an idea of your scores in the different time perspectives. You can also take the Transcendental-future Time Perspective Inventory (TTPI). When looking at all data collected so far, the average score on each of the time perspectives is different. The average score for each time perspective lines up with 50% on the graph. 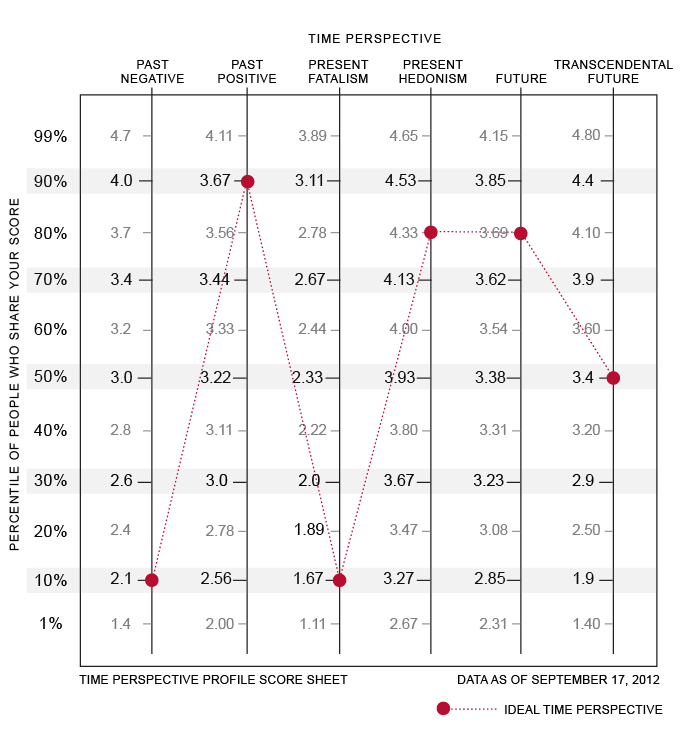 For example, on the past negative time perspective, people’s average score is 3.0. On the past positive it is 3.22. We’ve taken into account the dispersion of scores so that a 4.7 on the past negative is the 99%, while it takes a 4.11 on the past positive to reach the 99%. The red dots and lines are not associated with the data in any way. It is simply our idea of what an ideal time perspective looks like. We have included it, so you can have an indication of how to improve your time perspective. You can print out and plot your scores on the image, then connect the dots, and see how your time perspective compares with that of others.